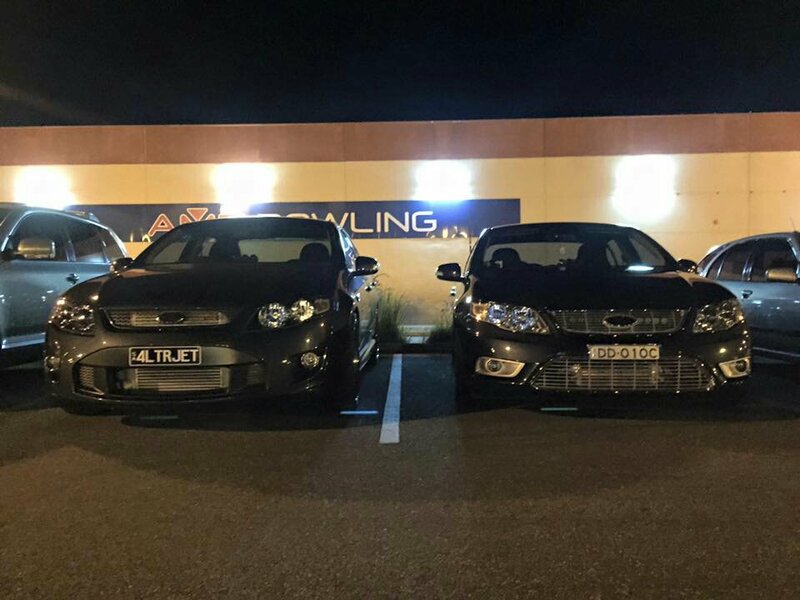 South Australia used to have a huge car scene that was respected throughout the country up until the early to mid 'naughties' when the 5-0 - and rightly so - stepped in to put an end to it all due to there being so many rednecks thinking they ruled the streets AND other road users. 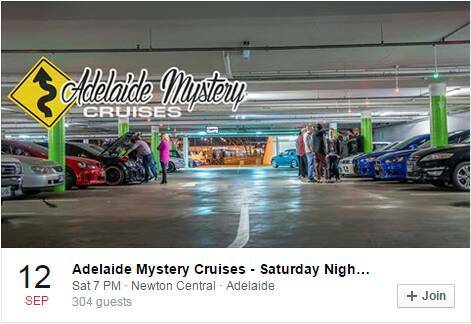 Various smaller groups were set up over the next few years but with 'Big Brother' watching over them so closely, most of these stop organising Meet & Greets and Cruises over time but now Adelaide is back into full swing with different car events happening almost every Friday and Saturday night. 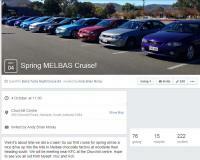 Most of these are advertised on Facebook and as I don't use it and I know alot of other South Aussie members of this forum don't either, I thought I'd start a thread to post upcoming events to help keep people informed so if they wish, they can be a part of the awesome car scene that we have in Adelaide atm. 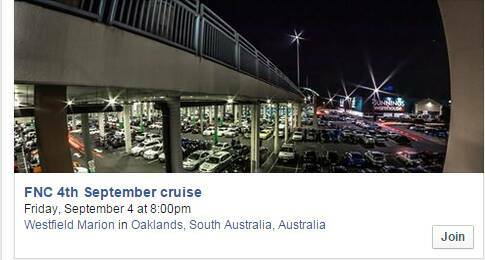 A couple of friends are going to send me info on Car Cruises and Meet & Greets that are organised on Facebook which I will post but this thread can be used by anyone........ Please keep the discussion to the car events as there are threads already opened for general chat etc..
Feel free to post pics of your car at any of the events and if you know of an event that is being run on Facebook or anywhere else, please post it ----- If it's a fortnight or more away, don't forget to re-post it closer to the event time. Also, I have been told that 'Most' of the events organised are open for anyone to see the page on Facebook therefore please post the link to the page as well. If it is a Closed Group, ie. only people signed into Facebook are able to Like & View the page, please say this so people that don't use social media know not to waste their time clicking on a link. 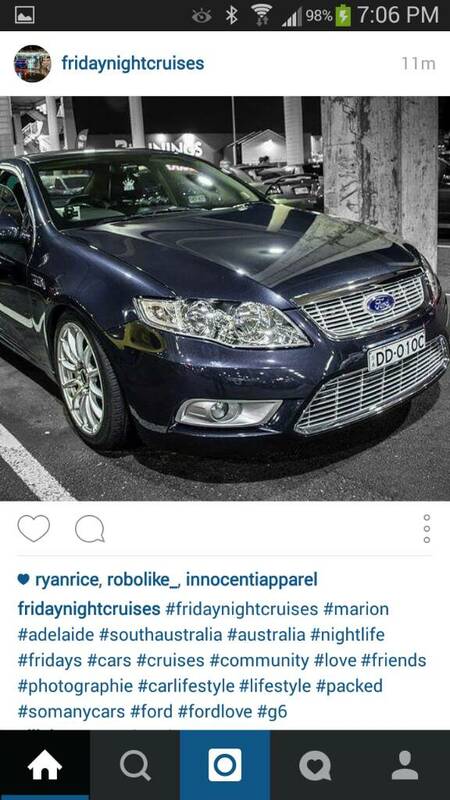 ^^^ this bloke is to cool for cruises. 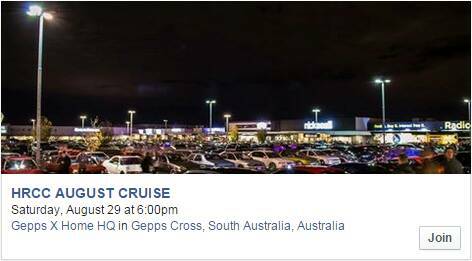 Rival cruise Club VE & Club FG have joined together to help raise funds for the Cure Brain Cancer Foundation. We will be meeting on Sunday, the 6th of September (Fathers day) at Gepps X homemaker centre. The cost will be $10 per car, but if you would like to donate more, that would be fantastic! There will be 4 awards for best ford, best holden, best jap and best euro which we will get everyone attending to vote once on each award. Just basic stuff (open new threads, edit, delete etc.) in all of the state threads Pete. 12 HOURS OF NON-STOP ACTION, DRIFTING FROM 9AM TO 9PM! 10/10 Matsuri is a traditional style Matsuri or drift festival event bringing drifters with a variety of experience together for a massive day (and night) of drift. There is lots of open track time, no competition and passengers allowed. There will be 3 groups that alternate during the day. Groups go out in 30 minute sessions on track and rotate through to 1 hour sessions on the skid pan. Drivers are able to share cars. You must sign an entry form for the other car. This must be done in the Event Office otherwise insurance will be void. There is no extra charge for this. Passengers are allowed. Passenger passes can be purchased on the entry form or from the events office on the day. Passes allow passengers to go out in any passenger approved car. Cars must have roll-over cages & passengers are required to wear a long sleeved shirt, long pants and helmet. All clothing must be cotton or wool. 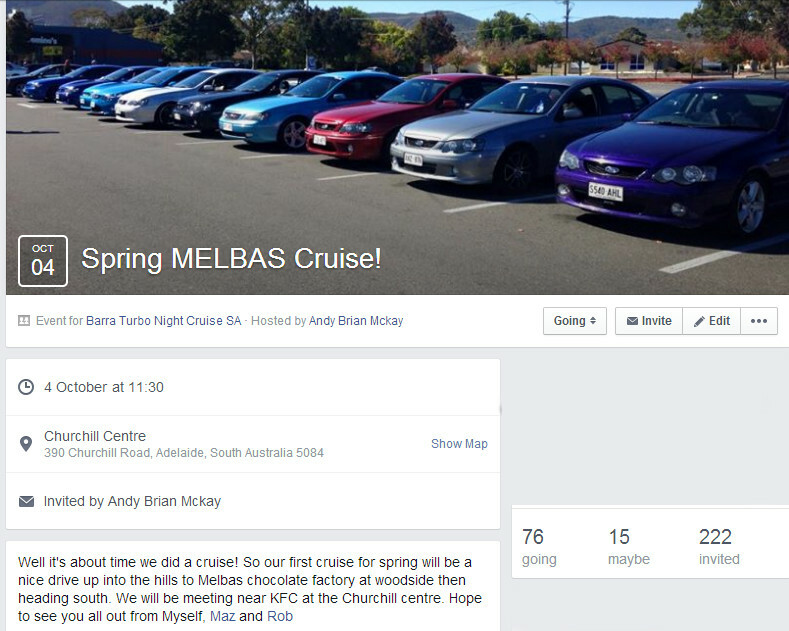 ALL Subaru models & Subaru "at heart" rides are welcome, stock/daily drives are especially welcome. Traveling north east to start off, but finishing with the smile inducing tunnel run. Can members please bring their Go Pro's. I am trying to make a cruise video and the more footage I can get the better the video will be. AIR ALL DAY DRIFT is an open track drift day at Adelaide International Raceway. It is designed to give entrants the opportunity try out the new AIR track layouts in a relaxed fun atmosphere with lots of track time. We will be using a variety of different track layouts.. Up to 7 different track layouts will be used! ou for your feedback and input into possible new track configurations. This is day is designed to be a day for drifters run by drifters. It will be fun, flowing with plenty of track time. Runs will be in singles, tandems or groups (it’s up to you!). Entry will be $140 online or $150 on the day (if there are any spots left). The track will be open from 9am-5pm and will rotate through the different track layouts. There will be two groups to choose from. Experienced & Beginner. These groups will alternate tracks. The idea is that there will be at least two tracks running at all times so there will be plenty of track time. We will also have experienced drifters on hand who will be able to give beginners tips and be available for questions. Passengers will be allowed all day. Cars taking passengers must have roll-over cages & passengers are required to wear a long sleeved shirt, long pants and helmet. All clothing must be cotton or wool. Passenger Passes are $30. Passengers must be 16YO and above. Passengers under 18YO will need a parent or guardian to sign an indemnity on the day. Cars will have a basic safety check prior to commencing on track activities. Each entrant will receive one entry ticket and pit paddock pass. 4th October 15 - 11:30AM - Churchill Center Near KFC. All makes and models welcome but primarily Ford community.